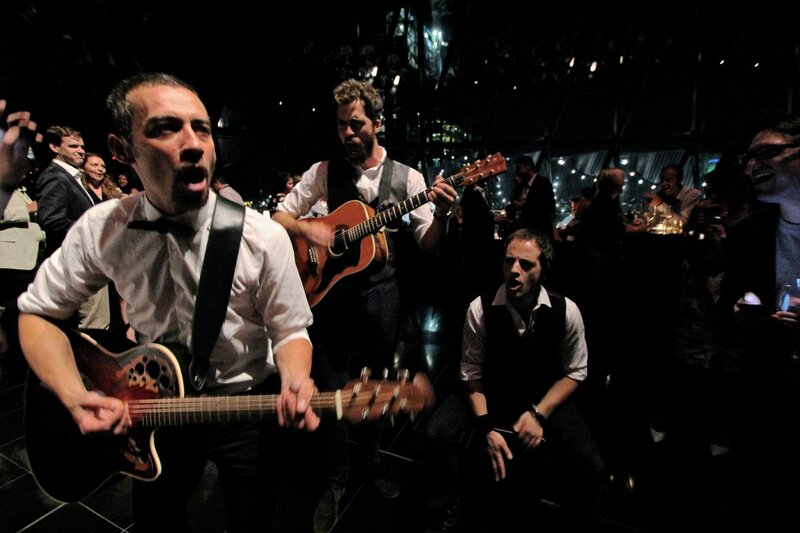 The In Crowd consists of a dynamic roaming trio performing vocals, electro-acoustic guitars and percussion. 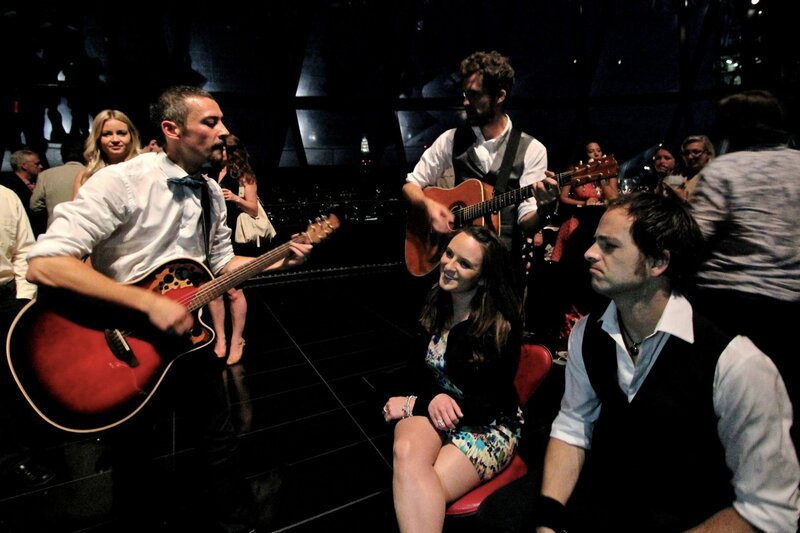 The group creates upbeat arrangements of pop, soul and rock songs. They are perfect for livening up parties, weddings and private events. With amplified portable packs they can roam amongst guests serenading them and taking requests of all their favourite tunes, creating a vibrant atmosphere whilst breaking the ice. Alternatively, the band can perform a tight acoustic set for a more ambient background setting. The In Crowd has performed at a variety of events around the world ranging from small intimate parties to impressive gala dinners.